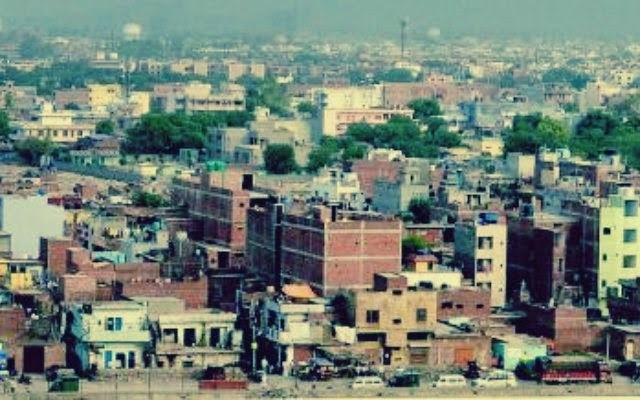 The issue of unauthorised colonies has always been a part of the manifestos of different political parties and organisations at the time of Delhi vidhansabha elections. But in fact the issue of unauthorised colonies are only raised during elections for mere vote bank politics and nothing after that. Whether it was under the BJP led Sahab Singh Verma rule or 15 years of congress led Sheila Dixit rule the issue of unauthorised colonies were only meant for manifestos. It’s very unfortunate that the residents of unauthorised colonies have been subject of vote bank politics for years which in fact is a negative side of Indian democracy. The residents have been fooled for long but now the residents they themselves are aware of the situation. I myself live in Paryavaran Complex (Near Sainik Farm,Pin: 110030)which is an unauthorised colony and at the time of every elections the representatives of different political parties or their affiliated wings would approach us and request for votes. The question rises are we only meant for mere vote bank politics .We have been fooled for decades having expectations from different parties but all have just used us as tool of mere negative politics. It is quite interesting to see that when the elections approaches every political party whose party is in the centre talks about getting an ordinance or a bill to regularise unauthorised colonies. Whether its BJP or Congress both have played the game with the residents of unauthorised colonies. Here, the question rises whether there is anyone serious for the residents of unauthorised colonies or the people will suffer for a decade more in hunt for a solution. Unauthorised colonies have one of the largest share/sector in corruption. In unauthorised colonies construction is illegal as per law established but ironically one has to pay heavy amount even if he is renovating his/her own owned house. The BJP led Municipal Corporation of Delhi (MCD) through its agents collect heavy amount even if one renovates his or her own house/property leave the professional builders aside. For every floor the MCD charges around lakhs irrespective whether a builder is involved or the owner himself or herself. Moreover, the virus of corruption in unauthorised colonies have spread to a great extent. The MCD agents for the sake of their duty come and demolish structures of the building under-construction .Its more painful when the builders are left out and the common man who is the owner of property is subjected . The question rises here that , do we have two laws in our country one for the “Seths” and other for “Aam aadmi” . The same MCD agents who demolish the building of the owners and let the builders building go off, gets hefty amount from the builders. In all the sufferer is the “Aam Aadmi” the law is different for them. This all chain and share of corruption is executed with the help of MCD agents and Builders. The builders pay heavy amount to not destroy their property in order the MCD demolishes the self owned property where the builders have zero involvement. Its ironical that if you are renovating or constructing your building with a builders involvement the probability of MCD or DDA interference is less than one percent but on the same hand if you yourself is constructing the building then the probability rate in ninety nine percent. Our Prime Minister talks about corruption free India but he should be aware that BJP led MCD has one of the largest share in corruption. The time is to act and not to frame policies. During the MCD demolition drive the owners are full of fear because every time there property is subject to demolition . I had conversation with few residents of Paryavaran Complex and what they said was legitimate. Amitabh Chiranjeev , a owner himself in Paryavaran Complex says “I am reconstructing my own house again but then also my property is subject to demolition and also I have to pay hefty amounts to agents. Its two years now my building is under construction as on a regular basis they come and demolish the property”. Another resident Nisha Sinha said that “The police always threat us during demolition drive that we should come out from the under construct property else we will file an FIR so what’s the point of living, don’t we even have right to life”. Similarly Dr.Kameshwar Sahay a retired doctor he says that” 15 years back I purchased property in paryavaran complex but now when my property is at its last stage due to damaged walls and pillars , I am unable to reconstruct my own property as I don’t have so much money to spend on agents ”. It’s a fact that the plight of the residents of unauthorised colonies are legitimate and the administration should act accordingly in a more transparent way, as “every problem has a solution”.